Stroll through the mesmerizing underground light patterns of James Turrell’s The Light Inside at the Wilson Tunnel in the Museum of Fine Arts, Houston. 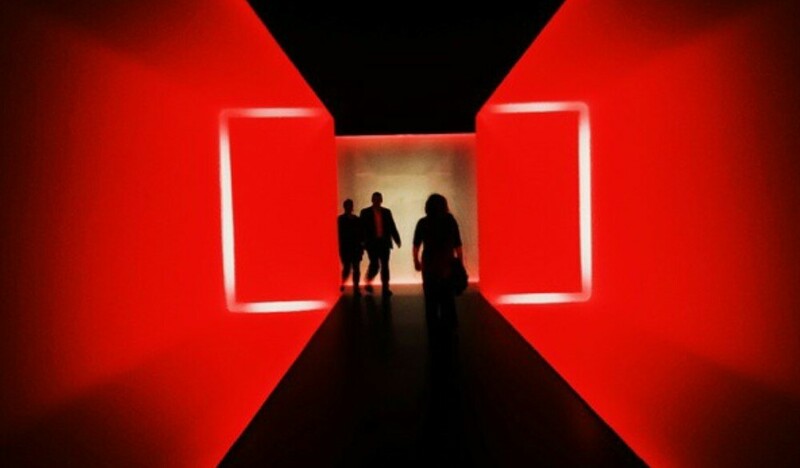 Most of us remember when the world dialed 1-800-Hotline Bling in 2015, but did you know that superstar Drake’s hit music video was inspired by the work of celebrated installation artist James Turrell? One of the inspired works happens to be accessible below our very own Museum of Fine Arts, Houston (MFAH) in the heart of the Museum District conducting light, creating an all-encompassing environment. Installed in 1999, The Light Inside is a site-specific underground light-filled tunnel that connects the Caroline Wiess Law Building with the Audrey Jones Beck Building of the museum. The popular, iridescent, and ambiently lit hallway that passes beneath Fannin Street and connecting the museum’s two buildings disorients viewers with its slow-fading colors that turn the museum’s into a living canvas. MFAH commissioned Turrell’s The Light Inside for the underground tunnel linking the museum’s Caroline Wiess Law Building with the Audrey Jones Beck Building when the latter opened in 2000. Transcending the traditional confines of built spaces, The Light Inside is both a passage and a destination. The raised walkway guides visitors forward and gives them the sense of floating in space, while the changing cycle of illumination which shift from blue to crimson to magenta further invite contemplation. James Turrell has been working with light and space for more than 40 years, creating real physical spaces and manipulating the sensory experiences found within them through both natural and artificial light. Since 1967, his work has been the subject of more than 150 solo art exhibitions across the world. He has two other major permanent installations in Houston; Twilight Epiphany on the Rice University campus and the smaller, more intimate Skyspace at the Quaker Meetinghouse. 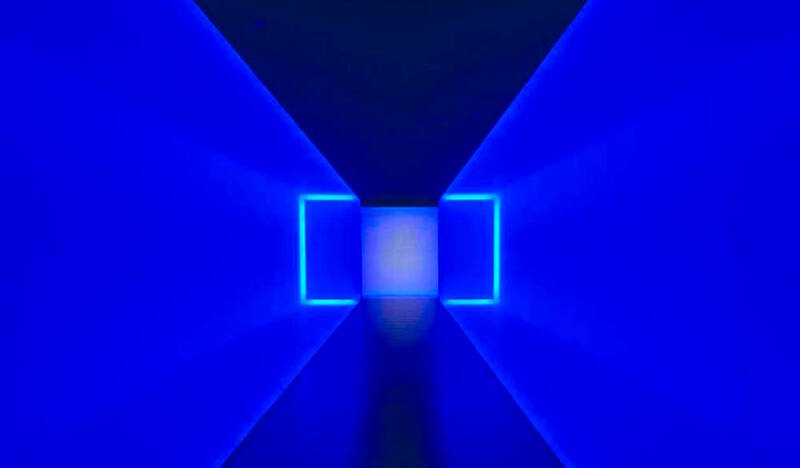 Before you can experience James Turrell’s The Light Inside, though you have to know how to access it. Guests should note that visiting the tunnel is included with general museum admission. Though the tunnel is totally other-worldly, it is also worth it to note that the MFAH guards will not allow guest to stop in their tracks (longer than it takes to snag a photo), climb down off the designated path or allow any horse-play within the installation area. Click here for a complete list of hours and additional museum information. Dates: Tuesday and Wednesday 10am to 5pm; Thursday 10am to 9pm; Friday and Saturday 10am to 7pm; Sunday 12:15pm to 7pm; Closed Mondays except on select school and business holidays like Labor Day, and Memorial Day. Parking: Free lot and paid street parking is available in the surrounding MFAH campus area. Click here for parking garage hours, fees, and locations. Admission: Included with general museum admission; free museum entry on Thursdays.